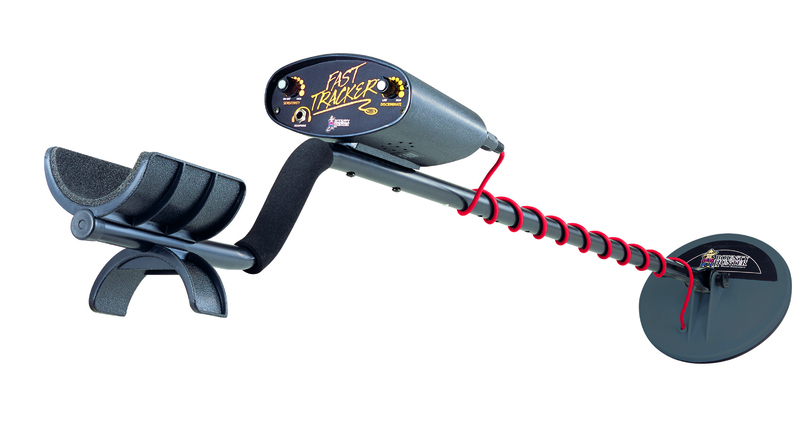 The Bounty Hunter Fast Tracker Metal Detector will detect treasure in extreme ground conditions -- from saltwater beaches to highly mineralized inland sites. This rugged model is so efficient and user friendly, sensitivity is maintained without operator adjustments to the circuitry. 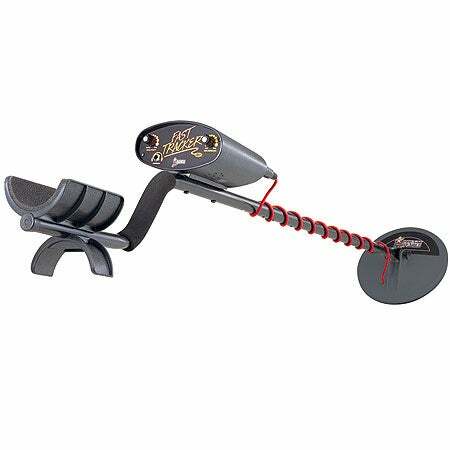 The entire line of Bounty Hunter metal detectors operate on two 9-Volt batteries (not included) and are designed to be lightweight and ergonomic for easy handling and comfortable use. Their standard motion all-metal mode detects all types of metal, while the progressive discrimination control eliminates iron and other unwanted items. As a target nears, the Fast Tracker's two-tone audio feedback aids in distinguishing between valuables and undesirable metals. This model also comes equipped with a 1/4 " headphone jack compatible with most headphones (not included) for privacy while treasure hunting. In addition, Bounty Hunter equips all their metal detectors with a preset ground balance that neutralizes the response to mineral content in the ground.